The impact of innovation in modern healthcare has been dramatic over the past decade. While technology has certainly impacted many areas of medicine, the developments of orthopedic surgeries in particular have been revolutionary. The ability of execute a surgical plan has seen tremendous attention for both trauma and joint reconstruction. With the use of advanced imaging like CT and MRI, virtual planning software now helps surgeons anticipate challenges in pathology pre-operatively, and use the data to develop a customized surgical plan. With a highly detailed surgical plan, intra-operative innovations in sensor technology now allow surgeons to balance soft tissues, which were often not anticipated in the traditional methods. That said, even sports medicine witnesses a continued progress because of minimally-invasive surgical techniques. 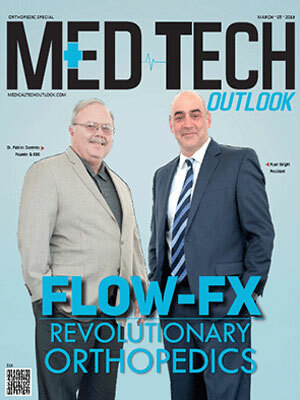 While fixation of ligaments and tendons using modern anchors continues to allow for strong structural support of the repair, in the coming years med-tech leaders will focus more on improving the biology of healing.